jess1ecat Thanks to everyone who contributed online &amp; in person to the #NSMNSS debates today it's much appreciated. DrLukeSloan RT @NSMNSS: @DrLukeSloan findings show there is no gender bias on twitter #nsmnss what other demographics can we establish? class?age?ethnicity? NSMNSS @dataknut Interesting comment, there are some at the #nsmnss event now that argue that isn't systematic or applicable. NSMNSS @aliceryley @jess1ecat Follow #nsmnss tag to read more exciting thoughts, from our quality in new social media event happening @natcen now! NSMNSS twitter privacy settings say we can take tweets,find their location, their interests and share. It is an open door right now #nsmnss ethics? amcunningham RT @jess1ecat: If you can't attend today's quality in social media research #NSMNSS event @NatCen then follow the # to join in at 1.30pm. NSMNSS @DrLukeSloan findings show there is no gender bias on twitter #nsmnss what other demographics can we establish? class?age?ethnicity? amcunningham RT @NSMNSS: Half hour to go before #nsmnss event kicks off w discussion of augmenting curated data w twitter feeds. Lots of discussion already going on! DrPetra RT @jess1ecat: If you can't attend today's quality in social media research #NSMNSS event @NatCen then follow the # to join in at 1.30pm. NSMNSS Half hour to go before #nsmnss event kicks off w discussion of augmenting curated data w twitter feeds. Lots of discussion already going on! KBeninger all set up at #nsmnss event on quality of social media research, and the first couple attendees have arrived! jess1ecat Welcome to delegates attending our last knowledge exchange event today @NatCen follow #nsmnss for debates on quality in soc media res. NatCen RT @NSMNSS: If you can't attend today's quality in social media research #NSMNSS event @NatCen then follow the # to join in at 1.30pm. VickiMcDermott RT @NSMNSS: If you can't attend today's quality in social media research #NSMNSS event @NatCen then follow the # to join in at 1.30pm. HampdenThompson RT @NSMNSS: If you can't attend today's quality in social media research #NSMNSS event @NatCen then follow the # to join in at 1.30pm. NCRMUK RT @NSMNSS: If you can't attend today's quality in social media research #NSMNSS event @NatCen then follow the # to join in at 1.30pm. NSMNSS If you can't attend today's quality in social media research #NSMNSS event @NatCen then follow the # to join in at 1.30pm. 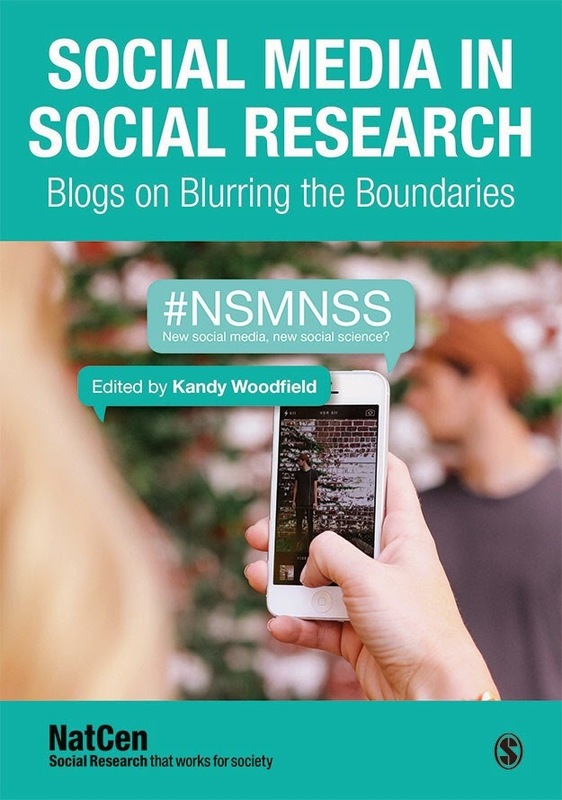 KBeninger RT @jess1ecat: If you can't attend today's quality in social media research #NSMNSS event @NatCen then follow the # to join in at 1.30pm. VickiMcDermott RT @NSMNSS: We are looking forward to the #nsmnss event today on quality in SM research! NSMNSS We are looking forward to the #nsmnss event today on quality in SM research! VickiMcDermott RT @jess1ecat: If you can't attend today's quality in social media research #NSMNSS event @NatCen then follow the # to join in at 1.30pm. kshjensen RT @jess1ecat: If you can't attend today's quality in social media research #NSMNSS event @NatCen then follow the # to join in at 1.30pm. AmySRes RT @jess1ecat: If you can't attend today's quality in social media research #NSMNSS event @NatCen then follow the # to join in at 1.30pm. jlwestwood RT @jess1ecat: If you can't attend today's quality in social media research #NSMNSS event @NatCen then follow the # to join in at 1.30pm. HEA_SocSci RT @jess1ecat: If you can't attend today's quality in social media research #NSMNSS event @NatCen then follow the # to join in at 1.30pm. DrSiHammond RT @jess1ecat: If you can't attend today's quality in social media research #NSMNSS event @NatCen then follow the # to join in at 1.30pm. drkatyvigurs RT @jess1ecat: If you can't attend today's quality in social media research #NSMNSS event @NatCen then follow the # to join in at 1.30pm. socphd RT @jess1ecat: If you can't attend today's quality in social media research #NSMNSS event @NatCen then follow the # to join in at 1.30pm. teago_emplaw RT @jess1ecat: If you can't attend today's quality in social media research #NSMNSS event @NatCen then follow the # to join in at 1.30pm. NSMNSS RT @jess1ecat: If you can't attend today's quality in social media research #NSMNSS event @NatCen then follow the # to join in at 1.30pm. NSMNSS RT @jess1ecat: Excited about today's #NSMNSS exploring quality in social media research. If you're coming bring a brolly it's wet out today! jess1ecat If you can't attend today's quality in social media research #NSMNSS event @NatCen then follow the # to join in at 1.30pm. jess1ecat Excited about today's #NSMNSS exploring quality in social media research. If you're coming bring a brolly it's wet out today!